It certainly isn’t every day that the latest book by the Profitless Press drops through your letterbox. 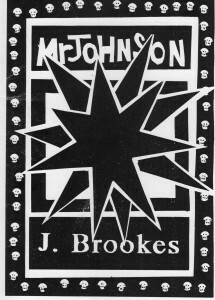 J Brookes has published several books under this banner, mostly books of poetry, plus one short novel, but this is the first from him for some time. Written in the form of a ballad, this is a meticulously crafted book, with several short sections, each comprising four 4-line verses, although unusually for Brookes, there is no rhyme at all, not even any off-rhyme. Instead, there is a combination of narrative and quite powerful philosophical musings. It begins in humdrum enough style, with the central character, Mr Johnson, turning his egg in first clockwise, then anti-clockwise way. This idea of things being turned one way or another, or being turned about completely, becomes quite a central theme of the book. We are told of a screenplay Mr Johnson has written called Dawn in which an unnamed man wakes “to discover that the sun is not rising but setting”. Brookes later imagines presidents who would prefer to be tramps, or potwashers who might be next in line to the throne. It’s unclear exactly what era the book belongs to. It seems to be fairly contemporary, although there is not a mention of the internet or modern technology, which comes as a welcome relief, although this is perhaps mainly because the author himself mostly shuns such technology. One of the crucial images in this story is a photograph from a newspaper in which a group of men is being taken by truck to their deaths, by execution. We might imagine this to be a photo from a war from a different age, but the author focuses on how disturbing it is that this sort of thing still happens in modern day, not a million miles from our own shores. Also prevalent in the book are quite frequent mentions of an unspecified alien race. They are mostly spoken of quite light-heartedly, although unsurprisingly, some more serious points are being made. There is the quite common supposition that we need to sort our own race out before aliens may deign it about time they paid us a visit, although at the same time, the notion that they’re perhaps not much different to us is also posited. Their coming is treated generally as something to probably look forward to, or at least, something that will result following some kind of human accomplishment. If the discovery of aliens (and from that, presumably also, space travel) is the pivotal achievement of the human race though, I wonder what comes after that? Whether or not you entirely agree with the sentiment, it allows for thought and debate. I think too often writers are afraid to be quite so forthright, and so end up sounding much like any other writer. In typical Brookes’ fashion, the idea of revolution is also fairly central. There is a great passage when he speaks of “rash youths in balaclavas preparing petrol-bombs, intellectuals in tutor rooms citing philosophers.” Brookes finds a happy medium between Marcus Aurelius and Karl Marx. To some extent, the book is a bit like a cut-up – it certainly jumps around quite a bit, like a classic play, from one scene to the next – but still, nonetheless, it does also flow beautifully. Brookes tries to bring in so many aspects, almost like a Walt Whitman poem. Pleasingly, however, there are some nice, cosy, recurring images – the egg in Wrexham, the Aliens, Mr Beefy’s Burger Van, the Potwasher, the President – that all have their roles and somehow keep the thing together. 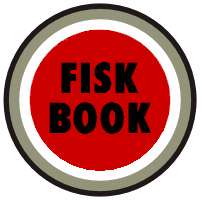 The book is full of lively descriptive passages, in a sense like Dylan Thomas, and there is a recurring feel that life itself could be a play, with characters acting out their fate. Nature, and the natural world is intertwined with human life – a cuckoo personified, having been brought up as a young chick by another bird speaks of this bird: “I loved her, left her very thin, then flew south”. This is also typical of Brookes’ dry wit. There are swaths of passages where you think Brookes must have been smoking dope at this point, but the better for it; the imagery is quirky and surreal, but each section is still brilliantly readable. It’s another bold statement, and not something that might not have been heard before. By highlighting two apparently different types as having the same interests, there is a slight contradiction, I think, and I’m not sure that a unified world, should that ever come about, would necessarily be a signifier for a different (or the same?) species again to come knocking. But it really doesn’t matter, I don’t think. It’s the quality and variety of the writing in this book that is overriding. Half way through, the lead character in this tale, is apparently killed off. I know this for certain only because Brookes himself told me. A few re-reads, and I’m still not exactly sure how and when this happens. At the bottom of page 14 is the line, “he will be extinguished in the stadium at noon,” (as it happens, also the time he is due to sign on at the Job Centre), but it’s not exactly clear if this actually happens, or why (perhaps because he stole a fridge on the way to the pub?!). If Brookes is Mr Johnson, then he puts himself in the firing line, much like the men due to be shot in the photograph. It is his sympathy for the everyman that is his shame? The image of state execution looms large throughout the book, its abhorrence exposed, but equally, it can be a seen as a sick kind of spectacle, another aspect of the prolonged play of life, the final act before the final curtain. Importantly, the book reads like a Great Work of Literature. I think this is because it in fact is a Great Work of Literature. It deserves to be far more widely read than just amongst the privileged few friends that Brookes has chosen to drop off a copy of this book to.